Home » Vehicle Comparison » How do the Golf and Golf GTI compare? We know shoppers have a lot of questions about our Volkswagen vehicles. That is why we want to help answer these questions with some detailed information. Many shoppers want to learn the difference between the 2018 Volkswagen Golf and the Golf GTI. Let’s compare the 2018 Volkswagen Golf vs the Golf GTI to show you what they can do. Both the Volkswagen Golf and GTI have some interesting features. These vehicles have rain-sensing windshield wipers and automatic headlights. These models also include LED Daytime Running Lights (DRL) and LED taillights. These models also have the same interior dimensions. They have 22.8 cubic feet of cargo space and 41.2 inches of legroom for front seat passengers and 35.6 inches of legroom for rear row passengers. Now that you know the similarities between these models, let’s take a look at what sets them apart. The 2018 Volkswagen Golf and the 2018 Volkswagen Golf GTI have different engines for different outputs. 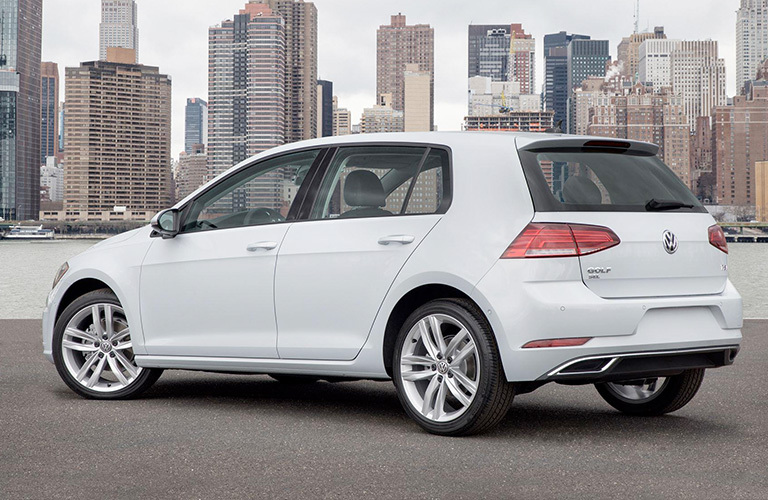 The Golf has a 1.8-liter engine that delivers 170 horsepower and 184 pound-feet of torque. 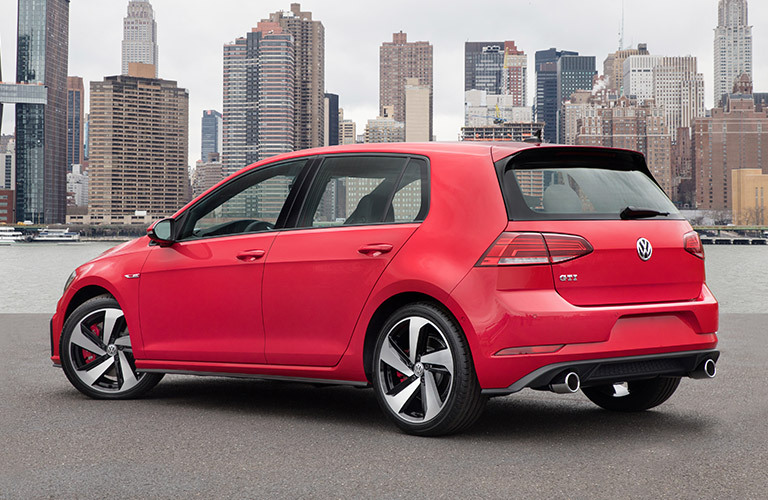 The Golf GTI has a 2.0-liter engine that delivers 220 horsepower and 258 pound-feet of torque. The 2018 Volkswagen Golf GTI also has heated front seats. The Volkswagen Golf has a highway gas mileage of 34 mpg, and the Golf GTI has a highway gas mileage of 33 mpg. We hope this 2018 Volkswagen Golf vs Golf GTI comparison has helped you learn more about these vehicles. If you have any more questions about the 2018 Volkswagen Golf, the 2018 Volkswagen Golf GTI, or any of our other Volkswagen models, you can check out our online inventory to see what we have available and schedule a test drive with us at Speedcraft Volkswagen today. This entry was posted on Friday, July 27th, 2018 at 1:52 PM	and is filed under Vehicle Comparison, VW Golf, VW GTI. You can follow any responses to this entry through the RSS 2.0 feed. You can leave a response, or trackback from your own site.